Spring is here and this time of year is usually marked by extensive cleaning. Your home, your office, your car, and even your teeth. Yes, spring cleaning for your teeth can be more important than cleaning out your house, as it can have impressive effects on your dental and overall health. At Forster Dental Centre we have some suggestions you can follow at home and some treatments you can get in our office. We look forward to helping you achieve a spring cleaning that will serve your smile well through summer and into the next year! Replace your brushes. Check your cabinets for old, worn-out toothbrushes. You should buy a new brush every three months, or if a brush becomes frayed or looks used and abused. Frayed bristles won’t clean your teeth properly. If you have been sick, that’s another reason for a new one. Bacteria and viruses can live in the bristles and make you sick again. On the positive side? Those old toothbrushes can be useful in cleaning those hard to reach spots around your house! Clean your dental appliances. If you use dentures, a mouthguard, a retainer, or any other removable dental device, you need to brush them regularly. A periodic soak in a gentle cleansing solution is always a good choice. Here’s a bonus tip – many of us are great at keeping our appliances clean, but we sometimes forget about their carrying cases. If you keep your appliance in any case or carrier, it should also get a good soak and a vigorous scrubbing. Quit smoking. Smoking is awful for your health, so spring cleaning your smile is a good excuse to cut back. Smoking yellows your teeth causes gum disease and leads to terrible breath. You can’t truly refresh your smile if you’re still smoking, so try your best to quit or at least cut back. Clean out your cupboards and toss out junk food, sugary snacks, and sugary drinks. A healthy diet builds healthy teeth. Most of us don’t realise how much sugar is in the coffees, sodas, and flavoured waters we drink, and as spring warms up, we often drink more. Check the expiration date of your mouthwash. Most mouthwash has a shelf-life which is indicated on the side of the bottle. Using mouthwash past the expiration date can affect its taste and its effectiveness. So if yours is past its prime, toss it out and buy a new bottle. 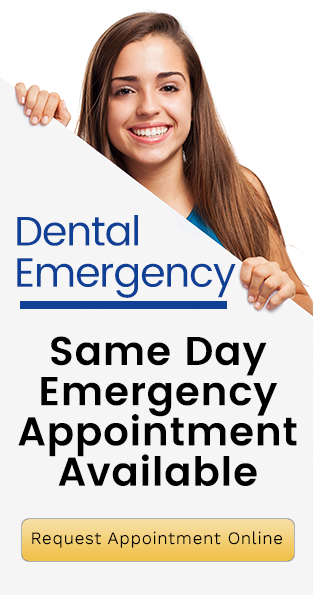 Schedule a dentist appointment. You already have cleaning on your mind, and now you’re thinking about dental health. Why not combine these thoughts and schedule a regular dental appointment? Seeing your Forster Dental Centre dentist regularly helps us spot problems before they become serious issues – and require serious money to fix. Even better, there’s nothing like that ‘spring’ clean mouth feeling you experience after a visit to our office! Forster offers a range of treatments to spruce up your smile for spring. Here are just a few. Dental clean and scale. A dental clean and scale fights against gum disease and cavities, but it also ‘spring-cleans’ your breath and knocks unsightly plaque from your teeth. Good oral hygiene habits are your first defence against many oral health diseases including tooth decay. However, they are not enough. Certain situations call for professional help, and the first step in that is a clean and scale. Give us a call for your springtime clean and scale! Teeth whitening. Do you want whiter teeth for spring? A more radiant smile for summer? Would you like to feel confident when you smile rather than be embarrassed by unsightly stains or tooth discolouration? Your cosmetic dentist in Forster, Dr Richard Oxenbould, is proud to offer tooth whitening and other cosmetic dentistry solutions to transform your smile; from dull to radiant at an affordable price. Colour-coordinate your fillings! Did you know that at Forster Dental Centre you can get fillings that match your teeth? At Forster Dental Centre, tooth imperfections such as cracks are easily solved with tooth coloured fillings. So you can be back to your regular oral functions without sacrificing beauty! At Forster Dental Centre, we provide each patient with the care that allows them to maintain healthy teeth and a beautiful smile for life! We offer an extensive range of dental services from preventative dentistry to restorative dental options along with the latest in cosmetic dentistry solutions for straighter and whiter teeth. We pride ourselves on listening to the needs and concerns of all our patients and aim to provide you with the personalised attention you and your family deserves.